Most of us have found ourselves lost in a new book. Most of us have gotten caught up in an exhilarating new tale that transport us to a new world and allows our mind to de-stress and learn new things. But, did you realize that reading is hugely important to your mental health and overall well-being? Reading can actually help your stress levels and expand your knowledge while allowing your body the time it needs to calm down and take a break. Below are some of the ways reading is such a crucial part of your overall health. Reading increases mental stimulation. There are studies that have shown that mentally stimulating your mind, through reading, can actually help slow the progress of Alzheimer’s and Dementia. When you keep your brain active and engaged, you are helping to stop it from losing its power, the power it needs to help you critically think and problem solve. Your brain requires just as much exercise as the rest of your body to stay healthy, strong, and agile. Following intellectual pursuits has been known to have a 32% slower rate of cognitive decline. Besides reading, puzzles and playing games are great ways to exercise your mind. Cognitive stimulation helps to relieve stress. As stated before, when you read, you are able to get lost in a story and can transport away from your real life worries and stresses. These stories help you to relieve tension and become relaxed, something you may not be able to do normally. Studies on stress have shown that the stress levels of people who read drop by 67%. Knowledge is power. Every time you read, you are learning new ideas and concepts to add to your cache to help you become better equipped to handle any challenge. It also helps to increase your vocabulary, allowing new words and meanings to add to your everyday vernacular. Researchers estimate that we learn 5-15% of our vocabulary from the books, magazines, and articles we read. While this may seem trivial, being well-spoken and articulate is very helpful for your professional, and personal, life. People who are loquacious, expressive, and well-informed on a variety of topics, tend to get promoted quicker and more often than those who are not. Reading is also imperative if you are trying to learn a new language. When you read in a foreign language, you are able to see how the words you learned are used in context, which helps with fluency in both writing and speaking language. Makes you a better writer. Exposing yourself to published works in magazines, newspapers, online, or in books, not only helps to extend your knowledge and vocabulary, but it also has an effect on your writing. 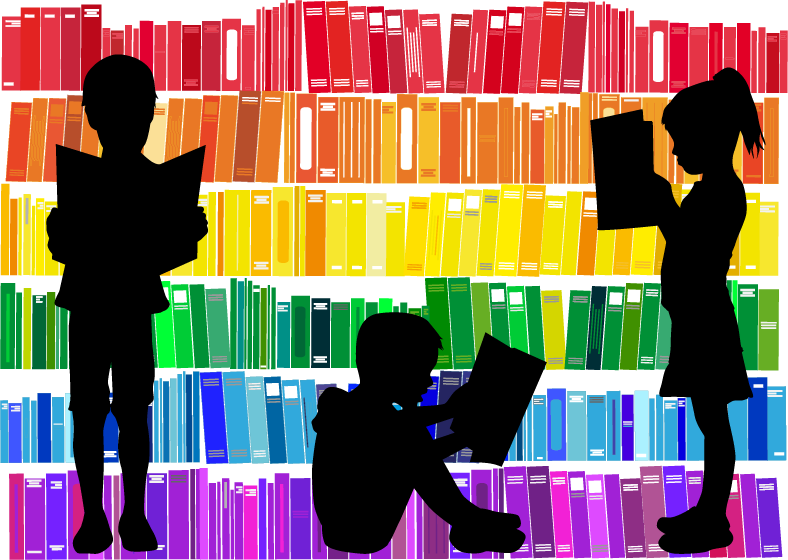 When you read, your ability to understand and use different cadences, styles, and fluidity. Authors’ styles may inspire you and influence your own personal writing style which helps you to become better at expressing yourself. Improvement to you memory. When you read, you have to remember characters, settings, plots, background information, etc. which forces your mind to work hard. All of these new memories create new brain synapses (pathways) and reinforce your old ones which helps your short term memory and helps you keep your mood stable. Having a reading habit gives muscle to your memories and forces your brain to think, concentrate, and analyze, all skills that keep your mind active and your memory strong. Ken Pugh, PhD, President and Director of Research of Haskins Laboratories states that “parts of the brain that have evolved for other functions—such as vision, language, and associative learning—connect in a specific neural circuit for reading, which is very challenging”. Reading creates strong analytical skills and improves your focus and concentration. When you read, you are unknowingly using your critical thinking and analytical skills to decipher and consider what is going on in the story. We often forget how important these skills are; they allow us to form conclusions and judgments based on the information and evidence provided. Along with creating strong critical thinking skills, reading helps improve our focus and concentration. Let’s face it, we are all always on our technological devices, constantly multi-tasking between things at one time. Reading keeps our attentions focused, giving us a well-deserved break from the fast paced world around us. Just reading for 15-20 minutes a day (book, newspaper, magazine, etc.) improves our clarity and focus. All-around character building. Stories provide different life perspectives that helps improve your empathic capabilities. Getting wrapped up in the story of a character’s life strengthens your ability understand and relate to others’ feelings and emotions. When characters overcome problems, realize their goals, or become better people, it can motivate you to do the same in your life. These stories encourage you to go after your goals and dreams. Also, while you are reading a story, certain details and plot points can unearth euphoric feelings of happiness that brighten your day and pull up good memories from your life. Free Entertainment. When you can’t afford to spend money going out, books offer a great way to relax and provide ample hours of free entertainment. If you have a library around you, you can apply for a library card which allows you to take out books, movies, music, etc. for free. No library around you? Most libraries have pdf versions that can be borrowed online on your tablet, laptop, e-reader, or phone. There are also a lot of free e-books out there to download and read. If you love to buy books to have forever but are cash strapped, you can purchase the e-versions of books, which tend to be much cheaper than a physical copy, for your smart devices or look for used book stores. Reading may help you to sleep better. Experts recommend you to create a routine that will help you to destress every night before you go to bed. This will help you to relax your mind and get yourself ready to go to sleep. Since reading is such a great stress reliever, reading under a dim light will trigger your mind that it is time start winding down for the day. Make sure to check back on Thursday for a list of great local Pittsburgh bookstores where you will be able to search for unique books. Don’t forget to comment, like, and share if you enjoyed reading this post or our past posts.